For the 2011 album by We Are the In Crowd, see Best Intentions (album). The Best Intentions (Swedish: Den goda viljan) is a 1992 Swedish dramatic film directed by Bille August and written by Ingmar Bergman. 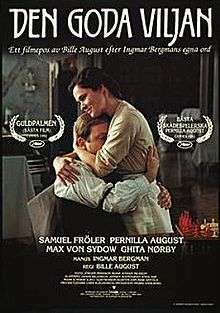 It is semi-autobiographical, telling the story of the complex relationship between Bergman's parents, Erik Bergman and Karin Åkerblom, who are renamed Henrik and Anna in the film but retain their true surnames. The film documents the courtship and the difficult early years of their marriage, until the point when Anna becomes pregnant with their second son, who corresponds to Ingmar himself. At the time, it was one of the most expensive Swedish films ever made. The film is a condensed version of a four-part Swedish television miniseries that aired in December 1991. It won the Palme d'Or at the 1992 Cannes Film Festival. 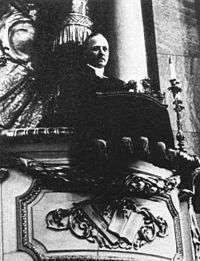 In the early 20th century, Henrik Bergman is studying to be a parish minister under the Church of Sweden. A poor man, he meets the wealthy Anna Åkerblom through his friend, Anna's brother Ernst. Anna is vain and stubborn, and in Henrik's belief she is elitist, yet she is also attractive and capable of enjoying pleasure. Although Henrik lives in a sexual relationship with Frida, a waitress, Anna seduces him and proposes an engagement. As Henrik and Anna begin to see more of each other, Henrik secretly continues living with Frida. While speaking with Anna's mother Karin, Henrik confesses that he feels unwelcome among the Åkerbloms. Karin tells him frankly that she feels Anna needs a mature man who can nurture her, but he is lacking on both counts. Karin also tells Anna that Henrik is still living with Frida, a fact verified by the family. Henrik and Anna stop seeing each other until Frida appeals to Anna to take Henrik back, citing his misery. While Anna is treated for tuberculosis in Switzerland, a brother is sent to tell Henrik that she no longer wishes to speak to him. However, unknown to her parents, Anna sends a letter to Ernst to be forwarded to Henrik, telling him she wishes to resume their relationship. Her parents receive the letter and Anna's father Johan opens it, after which Karin reads it and burns it. After Johan dies, Karin confesses the act to Anna, who angrily seeks Henrik. By then, Henrik is planning to go to Forsboda, a remote village in northern Sweden, to work in a parish whose head minister is aged and ailing. Anna resolves to go with him, and they marry despite their class conflicts. The Bergmans have their first son, Dag, but Henrik becomes embroiled in the local strike action, as he refuses to endorse poor working conditions and lends his church for a socialist meeting. This displeases Nordenson, who also dislikes Bergman's manner of instruction of Nordenson's daughters, as Nordenson refuses to kneel with his wife and girls. In the meantime, the Bergmans take in Petrus, a troubled orphaned boy. Later, Henrik and Anna are unexpectedly summoned to Stockholm to meet Queen Victoria, who chairs a board managing Sophiahemmet hospital and is seeking a chaplain, with the archbishop recommending Henrik. During the meeting, Victoria asks him if he believes suffering is sent by God. He replies suffering is useless and God views the world with horror, and leaves the palace fuming at having to flatter the Queen. The Bergmans decline the position, but the villagers are upset they did not hear of the offer except through rumours, and are disturbed by Henrik publicly humiliating Nordenson in church. Upset, and expecting her second child, Anna insists on sending Petrus away, saying she did not agree to a permanent adoption and she dislikes the boy. Petrus overhears the conversation, and furious, kidnaps Dag and carries him to an icy river. The Bergmans see them and give chase, with Henrik saving Dag and slapping down Petrus, after which the boy leaves. In despair, Anna decides she can no longer live in Forsboda and takes Dag to the Åkerblom house, while Henrik at first resolves to stay in the village. He finally accepts the position in Stockholm and asks Anna to come with him, and she replies this is all she wants. Ghita Nørby and Max von Sydow star as Anna's parents, the Åkerbloms, while Lena Endre appears as Frida. The history of Church of Sweden minister Erik Bergman influenced his son Ingmar, who wrote the screenplay. 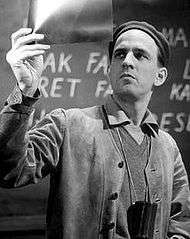 Semi-retired director Ingmar Bergman conceived of the film while writing his memoirs The Magic Lantern. He wrote the screenplay based on the early years of the marriage of his parents, Lutheran minister Erik Bergman and Karin Åkerblom, between 1909 and 1918, attempting to see them less as "mythical giants who dominated his childhood," and more as complicated people. By ending the film before he was born, he examined their conflicts that did not have to do with him. In writing his parents' story before his birth, Ingmar found himself limited to "fragmentary notes, brief tales, isolated episodes." Many of Karin's letters to Erik were lost and presumed destroyed by Karin. Ingmar's sister Margareta Bergman possessed most of their parents' papers, and some were published by 1992. Erik had written an autobiography for Margareta in 1941. One document Ingmar had was his mother's diary, though it was not a source for many events in the film. He attempted to capture his parents' characters based on his documents and his conversations with them in later years. Professor Rochelle Wright details where the film differs from history, noting that unlike Henrik and Anna, Erik and Karin in fact met as second cousins. While Karin's parents were opposed to her marrying Erik, there are not many details as to how this conflict played out in reality. The separation of Erik and Karin related not to her treatment for an illness in Switzerland, but rather to her studies for nursing in Stockholm and Gothenburg. Ingmar completed the screenplay in 1989. He respected Danish director Bille August and submitted the screenplay to him. August was facing budget difficulties with the Hollywood film he was working on, and abandoned it to travel to Stockholm to meet Bergman, whom he admired. Bergman told him he had seen August's film Pelle the Conqueror seven times and that August would have complete control over the direction of The Best Intentions. In a press conference with August in 1989, Bergman said the film could be seen as related to The Magic Lantern and his semi-autobiographical 1982 film Fanny and Alexander. Tureholm Castle was a shooting location for the film. Bergman insisted on the casting of Pernilla Östergren as Anna, after she played Maj in Fanny and Alexander. Bille August had not met her before The Best Intentions, but later married her. Pernilla accepted the role, not knowing it had been written for her, which she said would have frightened her. Producer Ingrid Dahlberg secured the kr 67 million budget by approaching various broadcasters across Europe. It was estimated to be the most expensive Scandinavian film in history. The Best Intentions took eight months to film, beginning in July 1990. 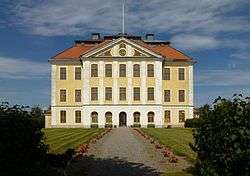 Several locations across Sweden were used, including Stockholm Film Studios, Uppsala County and Tureholm Castle. The film was announced at a press conference in Stockholm in December 1991. To avoid taking attention away from Bille August, Bergman did not attend. The six-hour version of the film ran on Swedish television in four parts in December 1991. The film played at the Cannes Film Festival in May 1992. Distribution for the three-hour theatrical version in the United States, Japan and numerous countries in Europe was secured by July 1992. 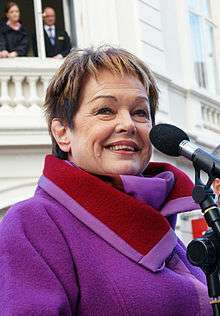 Pernilla August received positive reviews for her performance, as well as the Best Actress Award at the 1992 Cannes Film Festival. Derek Elley of Variety wrote the film "packs a sustained emotional wallop that lightens its three-hour span," and Pernilla August "holds the screen in a series of throat-catching sequences." Janet Maslin, writing for The New York Times, said that the second boy Anna is pregnant with at the end of the film is Ingmar Bergman, "whose screenplay looks back at the social, economic and personal forces that turned his parents' early years together into a tug of war," while Bille August's direction is "more decorous and less bold." Maslin stated the film "loses momentum" with the romance story lacking significance. Peter Travers of Rolling Stone panned the film as a "three-hour Swedish soap opera" that "fails to live up to its pedigree," while calling Pernilla August "wonderfully expressive" and Max von Sydow and Ghita Nørby excellent. Entertainment Weekly's Owen Glieberman gave the film an A, praising it as "the most moving film I’ve seen this year," and said that Pernilla's "radiant sensuality and pride evoke an entire Bergman universe of emotionally engulfing women." Kenneth Turan, writing for The Los Angeles Times, felt the film is missing Bergman's direction, but it has strength in his screenplay and an acting quality "uniformly quite high," with "special nods" to Pernilla and von Sydow. People critics judged the film to be "equally memorable" to Bergman's 1973 miniseries Scenes from a Marriage, filled with "vivid, literate confrontations" that Bille August gives "naturalistic fervor." The Time Out review states The Best Intentions lacks the joy of Fanny and Alexander and the length of the film is challenging for the viewer. In 2016, The Hollywood Reporter ranked the film 69th among 69 counted winners of the Palme d'Or to date, concluding "August’s rather bland direction made this a forgettable Palme." The film has a 100% score on Rotten Tomatoes, based on six reviews. The film won the Palme d'Or and Best Actress for August at the 1992 Cannes Film Festival. At the 28th Guldbagge Awards, the film was nominated for six awards, winning two, for August as Best Actress and Bergman for Best Screenplay. 1 2 3 4 5 6 Elley, Derek (15 May 1992). "Review: 'The Best Intentions'". Variety. Retrieved 20 September 2016. 1 2 3 4 5 6 Rochelle Wright, "The Imagined Past in Ingmar Bergman's The Best Intentions," Ingmar Bergman: An Artist's Journey, 2011, Skyhorse Publishing, Inc.
1 2 Blair, Iain (9 August 1992). "With 'Best Intentions'". The Chicago Tribune. Retrieved 20 September 2016. ↑ Birgitta Steene, Ingmar Bergman: A Reference Guide, Amsterdam University Press, Amsterdam 2005, ISBN 90-5356-406-3. p. 343. ↑ Desmond Christy, Gazzetta: Love in the Cold, The Guardian, 17 January 1992, p. 27. ↑ Mike Helmy, "The Sins of the Fathers," The Independent, 22 May 1992, p. 19. ↑ "The Best Intentions," ingmarbergman.se, URL accessed 22 September 2016. 1 2 Gritten, David (12 July 1992). "A Light on August : When Ingmar Bergman picked him to make 'The Best Intentions,' Bille August got more than a man could bargain for—an award-winning film, a new wife and the mantle of Great Scandinavian Director". The Los Angeles Times. Retrieved 20 September 2016. ↑ Maslin, Janet (10 July 1992). "Bergman's Family Story Of Life Before Ingmar". The New York Times. Retrieved 20 September 2016. ↑ Travers, Peter (10 July 1992). "The Best Intentions". Rolling Stone. Retrieved 20 September 2016. ↑ Glieberman, Owen (24 July 1992). "The Best Intentions". Entertainment Weekly. Retrieved 20 September 2016. ↑ Turan, Kenneth (14 August 1992). "MOVIE REVIEW : 'Intentions' Is Bergman Minus Tears". The Los Angeles Times. Retrieved 20 September 2016. ↑ Kaufman, Joanne; Novak, Ralph; Rozen, Leah (July 13, 1992). "Picks and Pans Review: The Best Intentions". People, Vol. 38, No. 2. Retrieved 20 September 2016. ↑ CM. "The Best Intentions". Time Out. Retrieved 20 September 2016. ↑ THR Staff. "Cannes: All the Palme d'Or Winners, Ranked". The Hollywood Reporter. Retrieved 20 September 2016. ↑ "THE BEST INTENTIONS (1992)". Rotten Tomatoes. Retrieved 20 September 2016. 1 2 "Festival de Cannes: DEN GODA VILJAN". festival-cannes.com. Retrieved 22 September 2016. 1 2 "Den goda viljan (1992)". Swedish Film Institute. 22 March 2014. ↑ Lawrence Cohn, "NSFC honors Clint Thompson," Variety, 4 January 1993, p. 1.